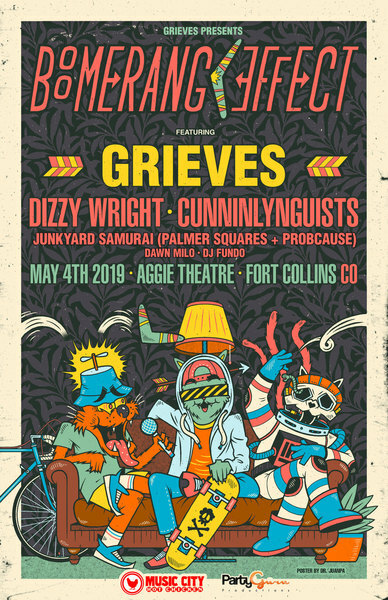 Saturday, May 4th at the Aggie Theatre in Fort Collins, CO. 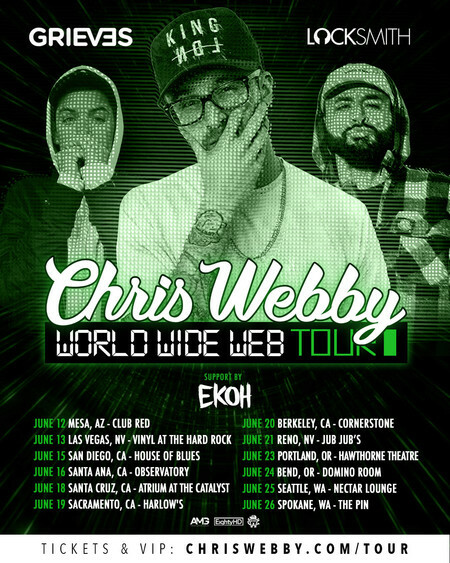 Featuring: Grieves, Dizzy Wright, CunninLynguists, Junkyard Samurai (ProbCause and The Palmer Squares) and Dawn Milo, and DJ Fundo! Presented by Music City Hot Chicken and Grieves.